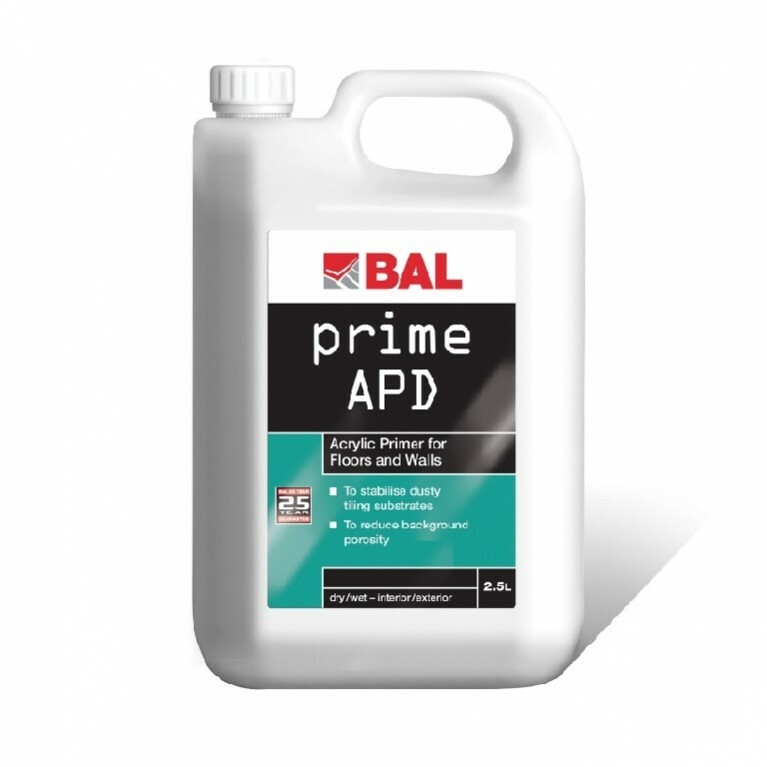 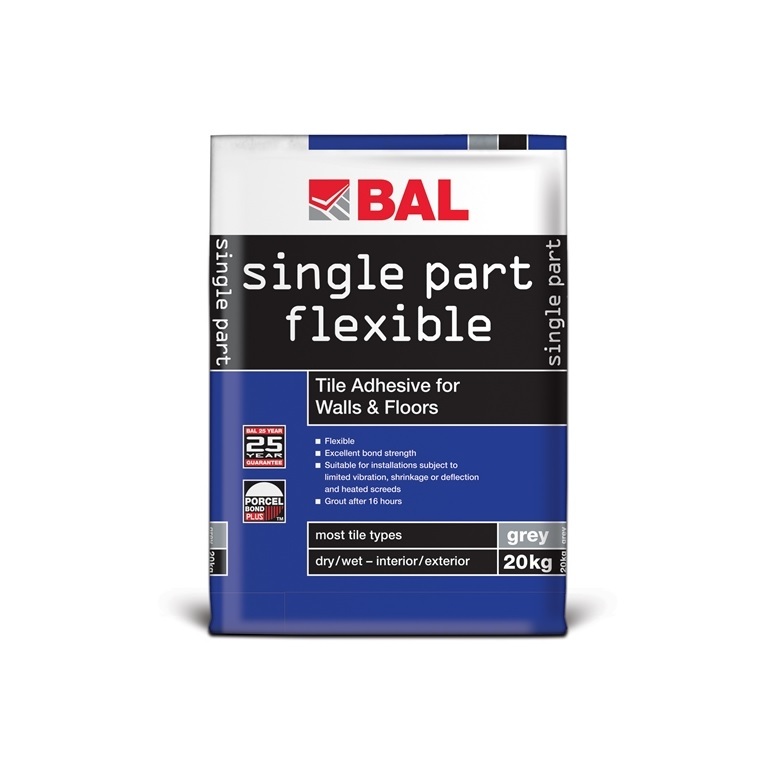 If you’re looking for a standard-setting flexible wall and floor tile adhesive then look no further than BAL Single Part Flexible. 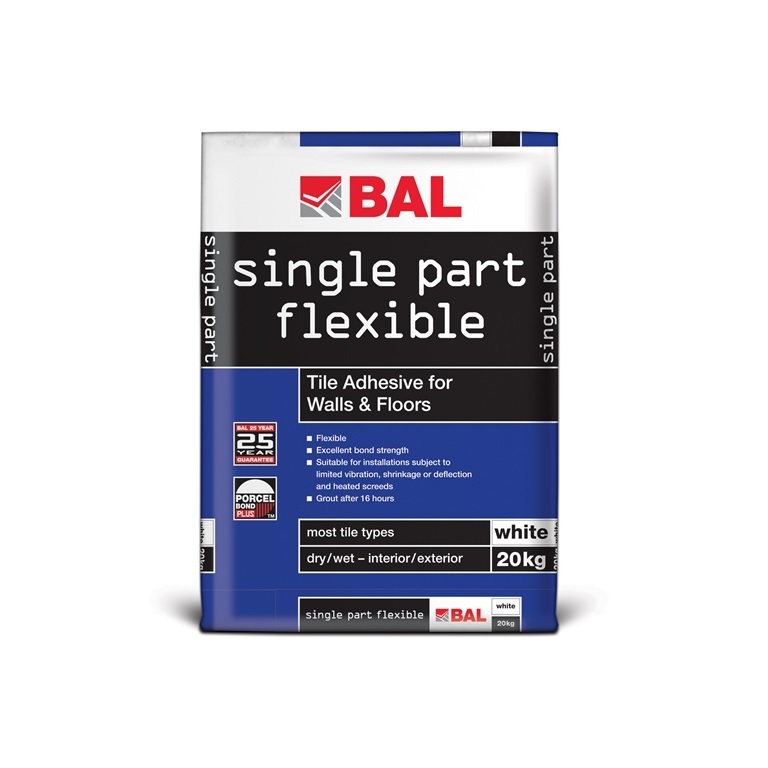 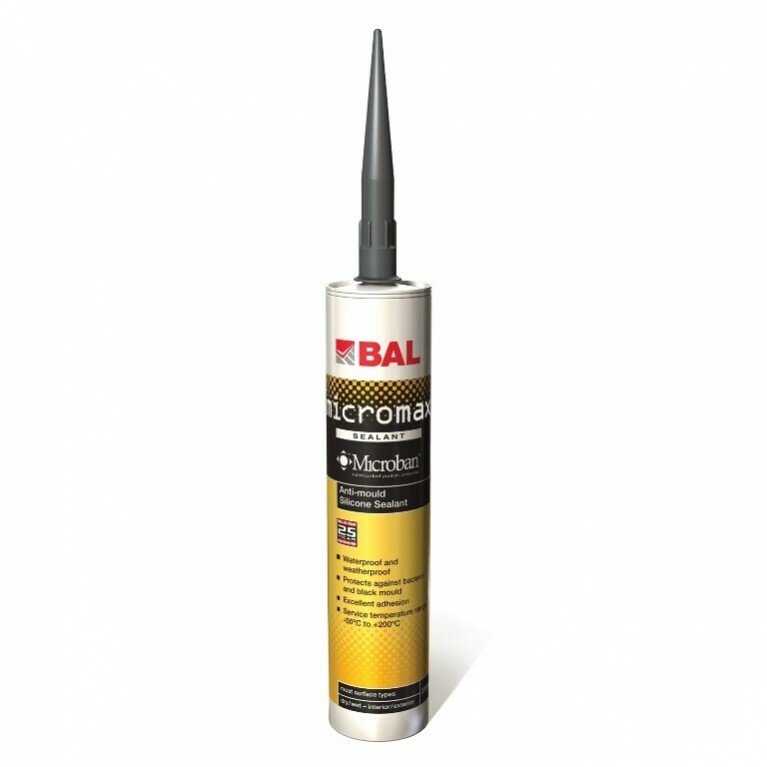 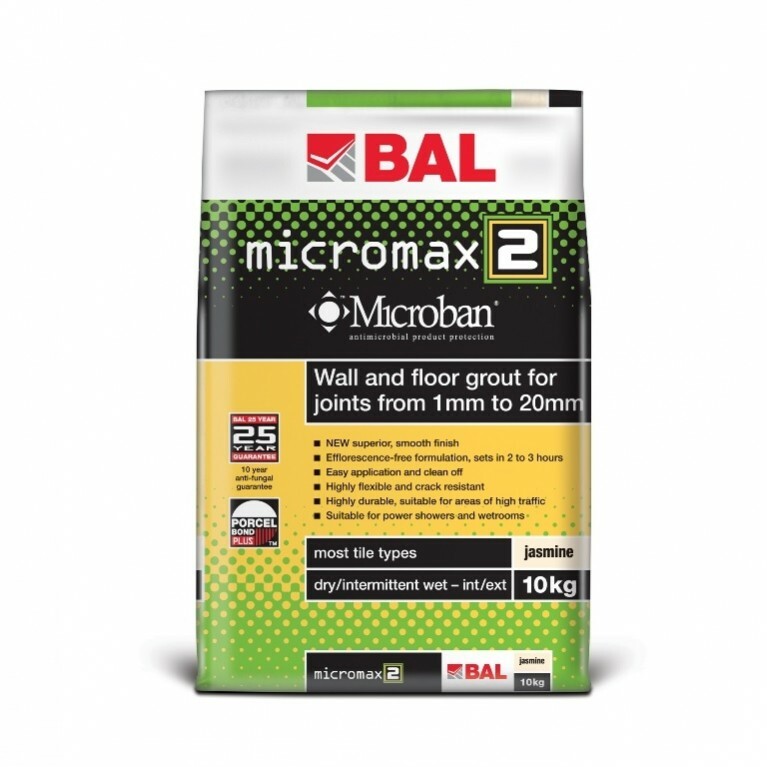 Offering tilers a number of benefits to aid fixing including extended open time and pot life, BAL Single Part Flexible is available in white and grey and can be used on difficult floors such as those with limited movement, vibration, underfloor heating. 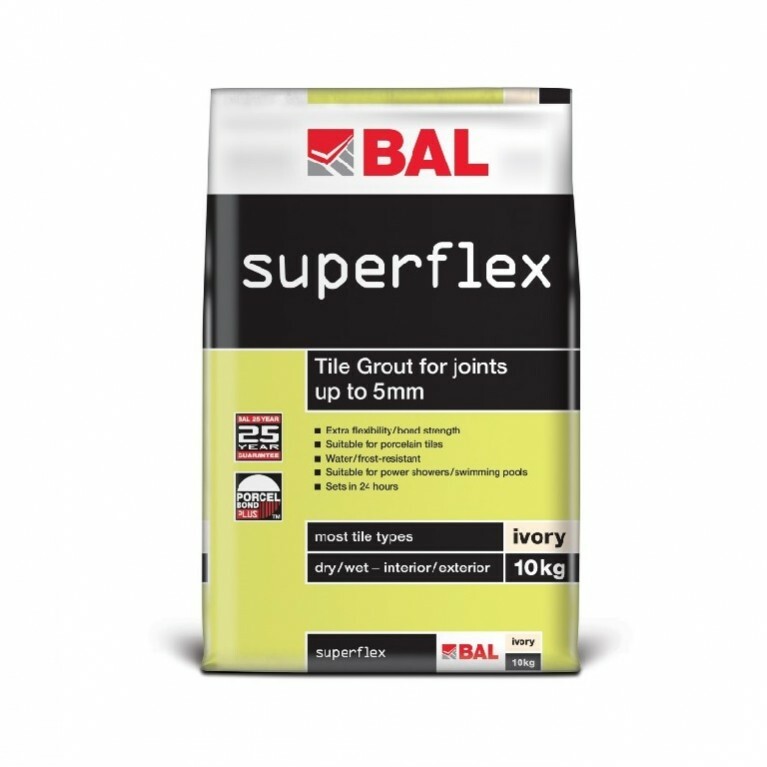 BAL Single Part Flexible can be grouted in 16 hours and is developed with PorcelBond technology for use with porcelain.